It's that time again.. exam week. I think most of you guys are locked up inside and sulking/procrastinating as well. It just isn't fair.. just when the weather actually feels like spring and is warm enough to only wear a thin jacket, studybooks are haunting you. Oh well, we can only hope that the weather stays like this.. For all of you who have exams coming up as well, GOOD LUCK! 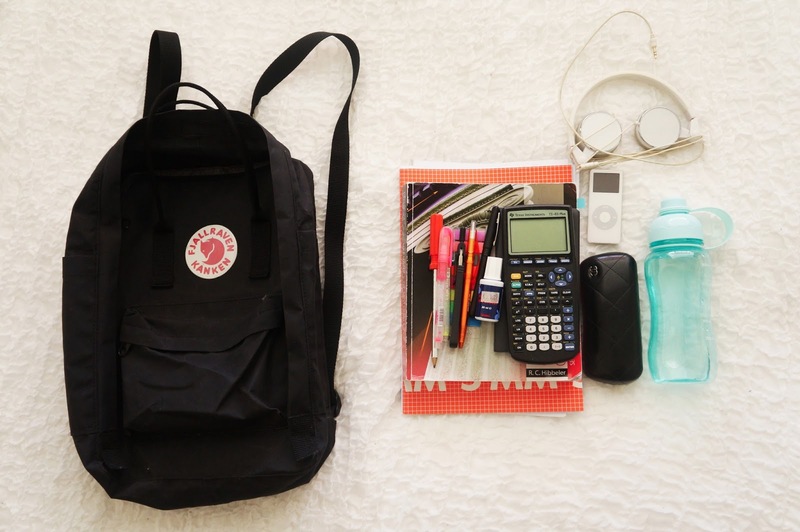 Here are some of my study essentials. Obviously, text/studybooks are essential. I like to study/practice for my upcoming exam in a new notebook, to have everything in order. Another essential is my calculator! I can't do anything without it. It contains my formulas and just little notes on how to handle certain exercises. Few pens/pencils and erasers are quite handy as well. A kinda stupid thing I do is ALWAYS write with dark blue ballpoint pen. Otherwise I just can't.. Not just blue but dark blue. Yeah I'm picky concerning my pen choice. Black fineliner I can tolerate. 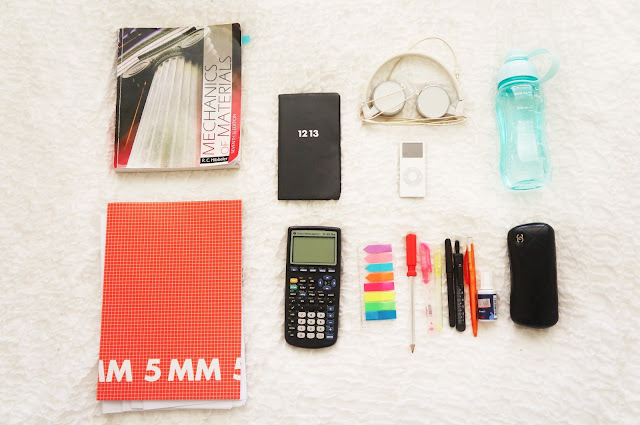 Some sticky notes for important pages, my glasses, an agenda to mark up my study plan, ipod nano for music and probably most important.. water bottle! Remember you must hydrate yourself throughout studying otherwise you'll just dry yourself out. I don't know if it's true but sipping water from time to time actually helps me to concentrate more.